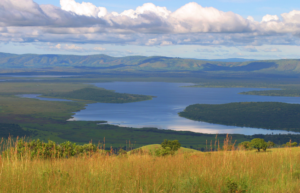 About the attractions in the Akagera National Park. This national park is named after the river that runs through it. Just from a scenic point of view, the park is savannah in nature and is among Rwanda’s natural treasures that will always remind you of the savannah reserves of Kenya and Tanzania. You will also find the open savannah plains, the hills, lakes filled with crocodiles and hippos, the broad leaved forests, as well as the candelabra Euphoria trees. There are also the burchell zebras, elephants, masai giraffes, buffaloes, as well as many species of antelopes that include; topis, defassa waterbuck, the roan antelopes, bohor reedbuck, the large Eland antelopes, Oribi common duiker, the semi aquatic sitstunga antelopes, the klipspringer as well as lions all in the Akagera National Park. And when it comes to the privates, you will as well find many groups of olive baboons, the velvet monkeys, the wide eyed bush babies as well as the blue monkeys. You will also come across the catlike genet, the black masked civet, black tailed mongoose, warthogs, bush pigs, serval cats, and the lions are seen rarely. The birders will find this national park a natural treasure with over 520 bird species and 100 of these cannot be found in any other destination apart from the Akagera national park. You can find over 44 species of the Raptors, the shoebill, papyrus Gonolex, as well as many migrant birds and some of these include; the great snipe and the lesser kesterel. This National park also represents the northern limit of many of the Zambezi an home species that include; the arnot chat, Sauza shrike, as well as the long tailed cistoa. The main unique feature in this national park is the feeling of being out alone, this means that you can drive for hours and you don’t run into any other vehicle which is also a rare delight in East Africa. 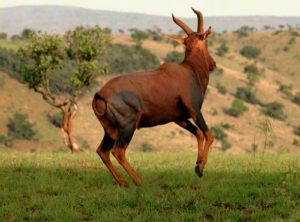 This national park is also a well worth a visit and is filled with many surprises, a fence has also been created to protect the park animals from the poachers and those that want to encroach and bring in their cattle for grazing. This national park makes the safari well rounded and also gives you the best that Rwanda has to offer for those interested in a savannah safari adventure. The roads in Akagera national park have been improved since the African parks came joined in on the initiative which allowed many game drives around the hills, lakes and plains. These mostly take place in the morning and afternoon or can even last a full day exploring the north with the night game drives good or viewing the Akagera nocturnal wildlife. The boat trips on Lake Ihema shores which is the second largest lake in Rwanda has got great aquatic birds and you, can also go fishing on Lake Shakani. Mostly the African parks also offer a chance to get a feeling for management of the national park on the scenes safaris to the headquarters and meet the staff. Since Rwanda is so particular on gender equality, the park has got many female guides which are a rare breed on many of African safaris. In case baboons are your thing, then you will prefer staying at Akagera Game Lodge. Since we only had a stop over there, I didn’t get chance to see the rooms save for the whole compound which was beautiful while the lodge was so pretty. This lodge is just good enough. This lodge has also got a swimming pool, the business facilities, tennis court and many safari activities like game drives, fishing, bird watching, and it’s located just near to the entry into the lodge.This is a very beautiful lodge and it opens the whole year and its known or offering more than 64 quarters. During this time, it is the only facility that is found within the park boundaries. This is less a traditional safari lodge but more of a hotel. It’s located along the Lake Ihema shores thus offering the best views of the lake. This has also got big and dirt free swimming pool which is winged at the edge of the big savannah. The lodge also offers an impressive relaxed atmosphere which is so ideal or the quite gate way, a conference as well as variety of wildlife. For the expensive adventure, you can try out Ruzizi Tented Lodge and the park has got the best accommodation and as the name says it all, you will sleep in the safari tents and these are so stylish and are situated in a stunning setting on the lakes in the park. The tents accommodate 2 persons and they go for $165 for the foreign visitors and for the national residents, $130. This also includes breakfast, dinner and this also means that this lodge is far much better in terms of finding value for your money than Akagera game lodge. There are also nine tents and these get booked up very fast on weekends. Great reviews are also got on food and the people admire the showers as well. There is a lot that I have heard about this stylish camp and it open only on the 1st of June till the 31st of August and in mid-December till the ending of February every year. This camp also costs $150 for each person on full board basis but you need to confirm the rates before booking this campsite for it is more pastoral than the Ruzizi tented camp and its experience is so luxurious and the workers take excellent care of the guests with good beds, the cold drinks, three course meals as well as a nice setting. This camp is also low impact and has no cement and each and everything is locked away every time you leave. This is also an example of a good new initiative within the park and I am also looking toward trying it out. 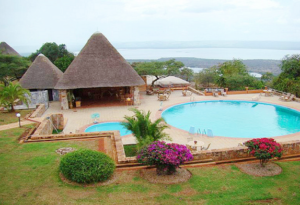 Recently, there are only two accommodation options in Akagera national park apart from camping. Ruzizi tented lodge was opened in 2013 and its close to the main gate in the south. It’s managed by African parks and it’s a good bush camp along the shores of Lake Ihema. The other option might be Akagera game lodge which has been under restoration or so many years and it’s now open though has got moderate standard. Visit Rwanda and experience the best of Africa. The new camps are also planned or the northern sector of the park in future so clients can contact us or the latest news about these camps. For the meantime, you can have a full day as you explore the northern plains and then return to Ruzizi tented lodge on any Akagera safari.